Click below to register for this inspiring and fun-filled event! In this issue of Connect, we again bring you some conversations with young impressionable minds who have been impacted by the Transform Lives one school at a time initiative. 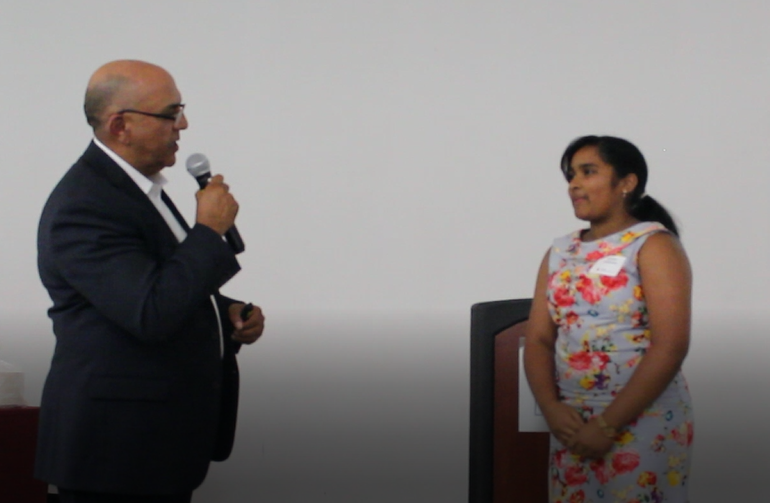 Schoolchildren in their grades nine and onward enthusiastically talked about the school’s transformation as well as their own. Read more . . . 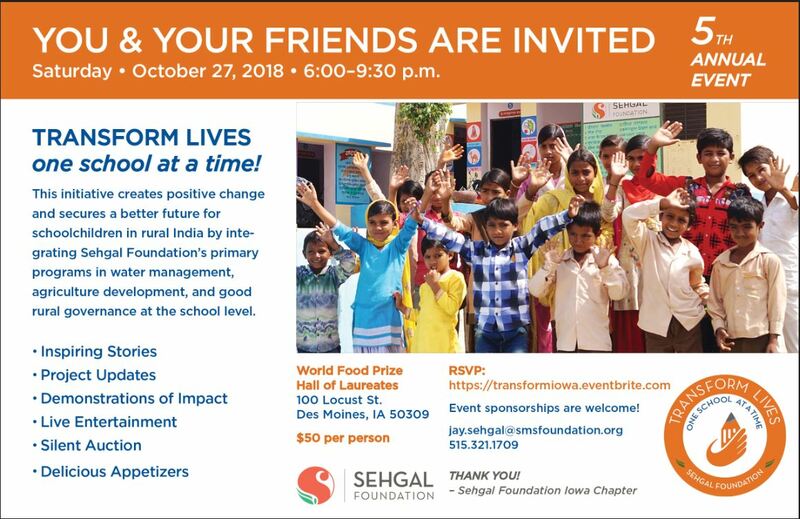 Supporters in Minnesota, USA, came together to celebrate the Transform Lives one school at a time initiative on September 9, 2018. 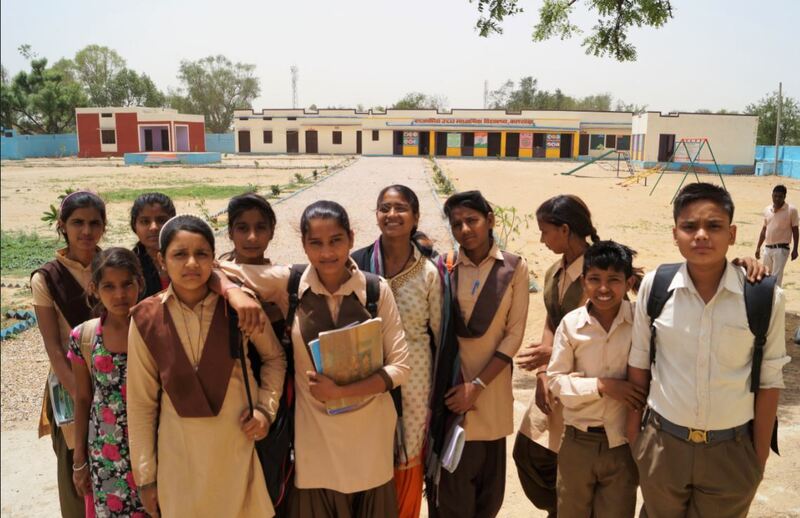 The initiative, started in late 2016, to support education in rural schools in India has so far reached over nine schools in district Alwar, Rajasthan. The schools have become more vibrant and welcoming ensuring a healthy environment for education. Most important, the life skills, digital literacy, and governance training have empowered students and provided much-needed confidence for more promising futures. Glimpses from the event . 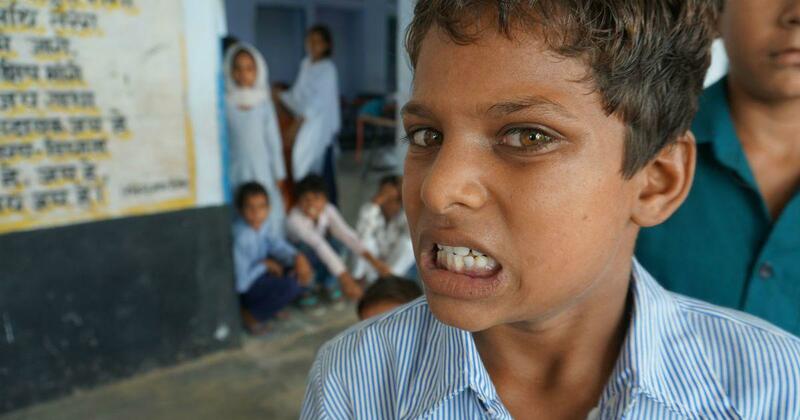 . .
Community radio Alfaz-e-Mewat FM 107.8 is trying to create awareness on Fluorosis in district Nuh through a campaign titled Fluorosis Se Jung (Fight with Fluorosis). Scroll.in does a special feature on the campaign. Read more . . .
Financial inclusion can only happen with financial literacy, but the question is how to achieve it. 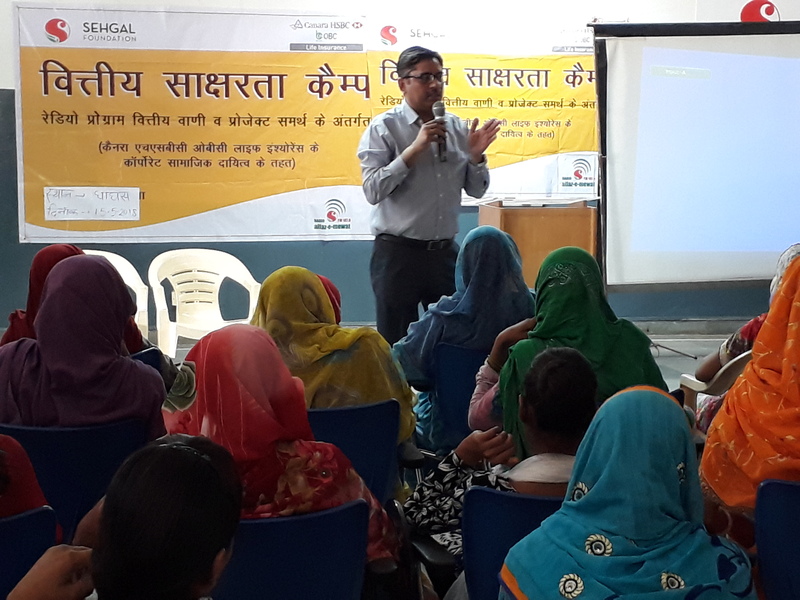 A recent partnership project between Canara HSBC Oriental Bank of Commerce Life Insurance Company and Alfaz-e-Mewat FM 107.8, a community radio managed by S M Sehgal Foundation on behalf of community, brought many challenges to the forefront. Sehgal Foundation has partnered with Mosaic Fertilizers India Pvt. Ltd. and the Mosaic Company since 2008. The ten-years-and-counting Krishi Jyoti (enlightened agriculture) program has worked to support the agricultural needs of rural communities in India. Together we have reached more than 17,000 acres of small farms growing crops like mustard, wheat, and pearl millet. For regions in India that experience only periodic rainfall, check dams are essential structures that help reduce soil erosion and create small reservoirs. In addition to agriculture, the program has also covered interventions in water management and education giving a holistic view to the program. The program has helped build six check dams that capture and store rainwater, serving as a critical source of drinking water and crop irrigation for 46,000 people. Learn more . . . The Sehgal Foundation team signed a MoU with the National Institute of Rural Development and Panchayati Raj (NIRD&PR), Ministry of Rural Development, Govt of India, for establishing Sehgal Foundation's Water and Wastewater Resource Center (SF-WWRC), at the Rural Technology Park, on the NIRD campus in Hyderabad. 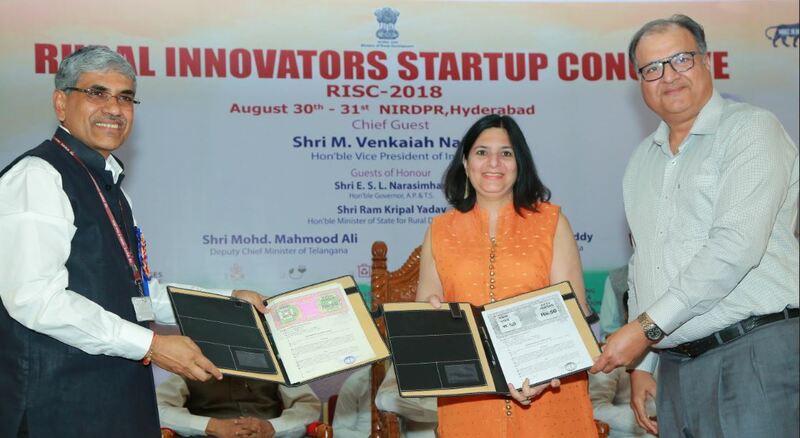 The MoU was exchanged at the NIRD's annual flagship event of Rural Innovators Start-up Conclave (RISC) 2018, in the presence of Hon'ble Vice President of India, Shri Venkaiah Naidu, and other eminent dignitaries. Read more . . . The National Nutrition Mission is a step closer to building a malnutrition-free India and ensuring a healthy future for the nation. The entire month of September is being celebrated as the Poshan (nutrition) month, with multiple stakeholders including the government machinery, civil society, media, and community radio programs talking about nutrition and healthy living. Community radio Alfaz-e-Mewat FM 107.8 aired informative programs to support the nationwide campaign along with sister radio stations sharing information about breastfeeding, complementary food, and other topics. 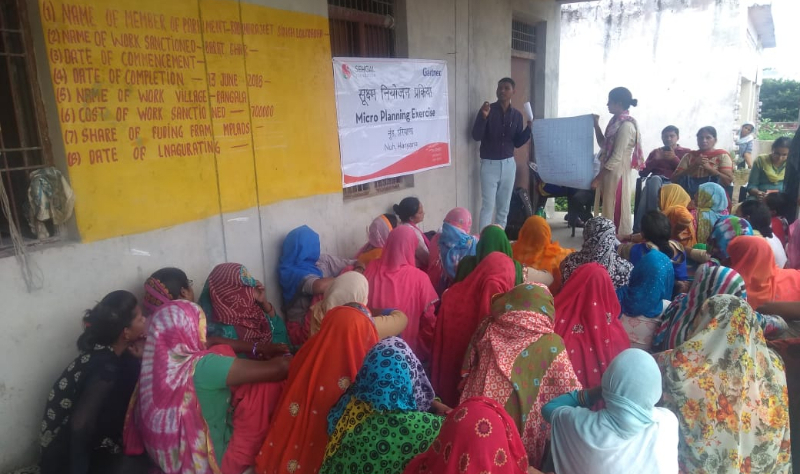 The Sehgal Foundation team facilitated a gram sabha development planning exercise in village Rangala in Taoru block, Nuh, Haryana, on September 11, 2018. The planning exercise was helpful in bringing stakeholders from the government in close connection with the people so that they could share about various government programs meant to benefit them. Officials from the Public Health and Engineering Department and Women and Child Development Department participated in the event. Speaking about the importance of clean water, the officers tested water samples for fluoride and chlorine presence. Field testing kits were distributed such that people are able to check for water contamination on their own. Sehgal Foundation and CAWST co-delivered a four-day Community WASH Promotion workshop working in partnership with Assembly of God Church Kolkata for Biosand Filter Implementers from September 17-20, 2018. 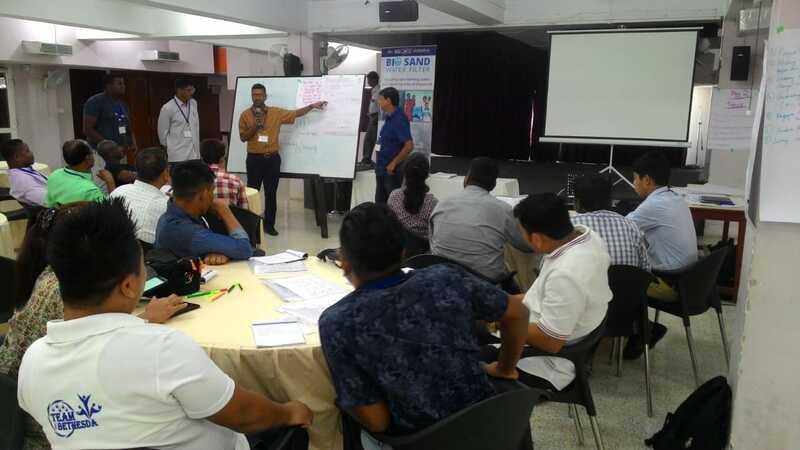 The training engaged biosand filter implementers, WASH professionals, decision-makers, non-government organizations, government agencies, community leaders and educators who are working to provide safe water at the household level in India. Read a recent blog by Mr. Suneel Rajavaram, Global WASH Advisor, Training and Consulting, CAWST, that talks about the partnership journey so far and the way forward. Under a water management project supported by DCB Bank, a rainwater-harvesting system constructed in the village school was handed over to the community members and School Management Committee in village Shikrawa, Punhana, in the presence of school staff, block education officer, and others. In addition, a community water tank of one lakh liter capacity in village Rehpuwa was also handed over to the villagers. The tank will help meet the daily water requirements of the community. Sehgal Foundation and ZS Associates have collaborated to refurbish and improve the local school in village Kota, Nuh, Haryana. 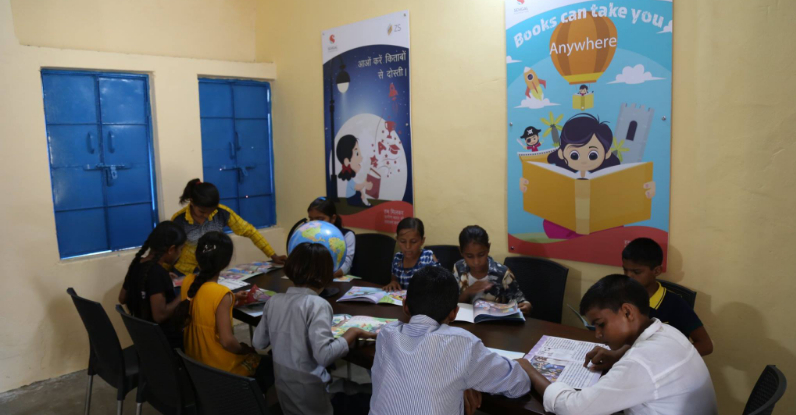 The school library was set up with the aim to educate young minds as they lay the foundation for a bright future. ZS employees regularly visit the school under their employee engagement program, interacting with schoolchildren. The group recently painted the school wall to give a colorful and refreshing look to the school. See video. . .